In light of the current economic conditions being faced by all sectors of our society, pressures to reduce costs and utilize resources with optimal efficiency have increased to the degree that building owners and managers are being forced to avoid or defer non-essential expenditures. Organizations and individuals are required to do more with less and maximize the service lives of their fixed assets. The Heritage Roofing Service Advantage! We have been dedicated, in our focus and commitment, to deliver only the highest quality repair service standard to our customers. In our development, we have worked with some of the largest industrial, institutional and corporate facility owners in establishing effective programs proven to yield maximum value for every dollar of the expenditure. 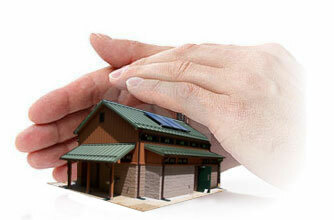 Studies prove that IMPROPER ROOF REPAIRS contribute to HIGHER MAINTENANCE COSTS and interior damage. Service companies failing to perform quality repairs in accordance with manufacturers specifications and/or the NRCA standard, are not always caught by the property owner or its representative. Poor workmanship and improper repairs will usually require additional repairs and/or re-work within a short period of time. These additional expenses can add up quickly on a large building, and slip by owners of smaller buildings. It is vital and equally important that proper materials are used to ensure their compatibility with the existing roofing system. We give owners control over their chosen level of services by providing them with options based upon their need and budget. Although we perform "quality inspections" on our service work, we also welcome and make available to owners oversight options of all work we perform. If you would like more detailed information, please call our office. We look forward to the opportunity to provide you with valuable roofing solutions that will meet your need Today and save you $$$ Tomorrow!